The new Gillette ad – a welcome reframing of masculinity or ‘virtue-signalling hypocrisy’? There have been plenty of examples of companies throwing their weight behind a popular cause or movement. Iceland spent much of their pre-Christmas campaign talking about removing palm oil from their products, while Lush’s decision to back a campaign highlighting the ‘undercover policing scandal’ raised plenty of eyebrows. 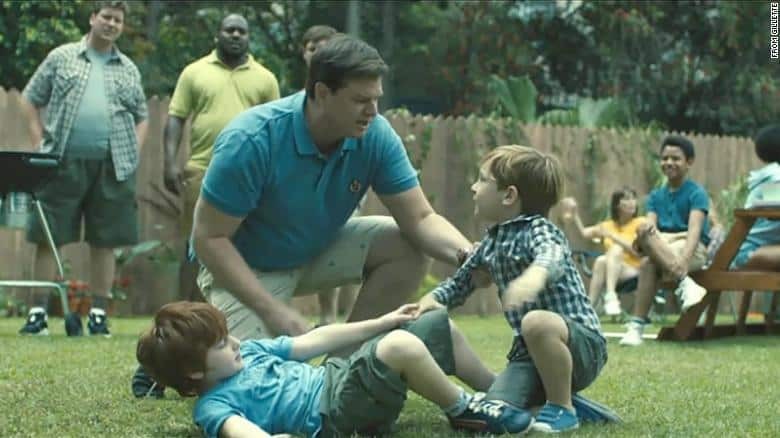 Some of these campaigns resonate better than others, and this week Gillette has got in on the action with a new film addressing issues of toxic masculinity, sexual harassment and bullying. As you might expect, reactions have been mixed. The ad has received much praise for its approach, while many others have threatened to boycott the company’s products in protest. …while (perhaps unsurprisingly) serial offendee Piers Morgan used it as further evidence that the world is going to hell in a handbasket. Pankaj Bhalla, Gillette’s North America brand director said that he hopes that the video will inspire men to act like role models and show children how to treat people with respect. Part of the criticism of the ad is that it paints all men as stereotypes. Of course, there is an inherent irony here; namely that a company who has spent the last three decades shaping how masculinity should be framed is now taking a swing at precisely the sort of ‘man’ it would once have celebrated. Gillette seems to be slightly guilty of lurching from one end of the stereotype spectrum to the other. While previously all men had to be seen as buff and chiselled, now men need to be emotional and vulnerable. All they have done is replaced one set of expectations with another, and if you don’t fit neatly into this narrative then you’re not much of a 2019 man. One of the further criticisms of the campaign feeds into a wider narrative: namely that people don’t want large corporations telling them what to think, or telling them off for not being a certain way or doing a certain thing. On a basic level, Gillette should be celebrated for this change in stance. It’s clear that the definition of masculinity is changing and having a major brand champion a change of attitude should be welcomed. It’s also delicious that many of the people who have been offended and outraged by the ad are precisely the sort of people whose behaviour the film itself challenges. Society is changing. The definition of masculinity is changing. So, faced with a declining market share, Gillette needed to do something. After all, it’s an ad and so it ought to be created with the objective of talking to the brand’s target audience. Perhaps Gillette could have done things differently. A film reinforcing all the positive behaviours without showing ‘bad men’ doing ‘bad things’ may have avoided many of the criticisms. A subtler transition from the company’s ripped Adonises to this new type of man may also have been less jarring. However, overall it’s a perfectly reasonable campaign, executed in a way that has quite clearly generated publicity and started a conversation. Job done.